I’ve always been a meal planner, but for the first several years of our marriage, I wasn’t very good at it. I would inevitably forget an important ingredient for one of our planned meals or, worse yet, lose my scrap paper with the list of meals for the week and have no idea what to cook. If you’re not familiar with Plan to Eat, it’s an online meal planner that lets you create a Recipe Book from your favorite recipes and those you want to try, build a Meal Plan from those recipes and then automatically generate a Shopping List. Unlike a lot of other meal plan subscriptions, Plan to Eat doesn’t tell you what to eat. Instead, it lets you take your own recipes (which can be added to your recipe book in less than 30 seconds!) 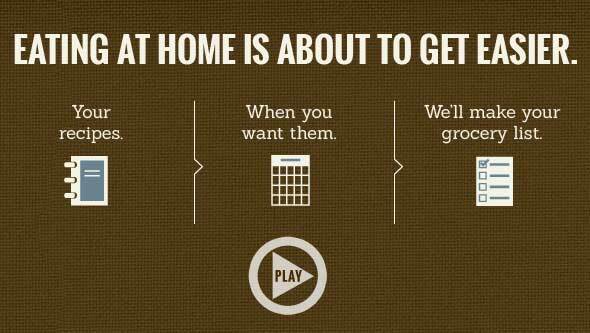 and plan your menu around those. Then click on the shopping list and — voila — a list of all the ingredients you need for the recipes you’ve planned. It holds all of our recipes — old favorites and new ones we want to try — for easy drag-and-drop menu planning. The bulk meal planning tools let you copy, move or delete planned items in bulk so that you can move or repeat your meal plan. The Plan to Eat bookmarklet makes it easy to import recipes from any website. It automatically creates my shopping list so I don’t forget any of the ingredients I need for the meals I’ve planned. I can access my recipes. meal plan and shopping list from my desktop, laptop, tablets or phone. Plan to Eat makes sharing recipes with friends and family easy. When you join the Life Your Way group on Plan to Eat, you’ll get access to more than 60,000 recipes from other members. Add the ones you want to try to your account with just one click! They are constantly rolling out new features and it just keeps getting better! Want to see what it’s all about? Sign up for a 30-day trial and give it a try! This week, Plan to Eat is giving THREE lucky Life Your Way readers a 1-year membership to the site! The giveaway ends at 11:59 p.m. ET on Friday, 2/21. The winner will be selected randomly and notified by email, and this post will be updated with their name as well. Unfortunately, due to the international laws governing sweepstakes and lotteries, we’re only able to offer these giveaways to U.S. residents 18 years and older.